Teen Titans Go! Packs Access Exclusive, Bonus Episode. 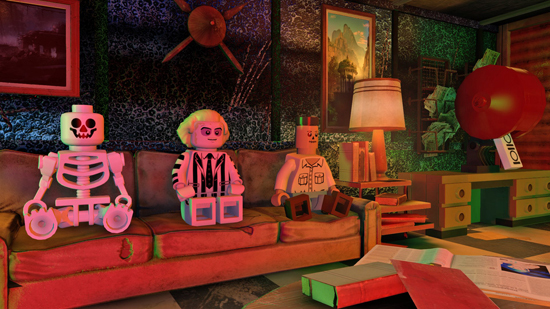 Warner Bros announce five highly collectable, new expansion packs for LEGO Dimensions, the LEGO toy and videogame hybrid, will be available in the UK on the 15th of September. Team and Fun Packs based on Cartoon Network’s animated series, Teen Titans Go! and The Powerpuff Girls, plus a Beetlejuice Fun Pack, will broaden the selection of the world’s most popular entertainment brands available for the game, allowing players to customise their experience by mixing and matching favourite characters and universes with full compatibility. Players that purchase either Teen Titans Go! expansion pack can access an exclusive, original episode to discover how the vibrant team of teenage superheroes stumbled upon the LEGO Dimensions multiverse and embarked on hilarious, heroic adventures with new friends. The Teen Titans Go! 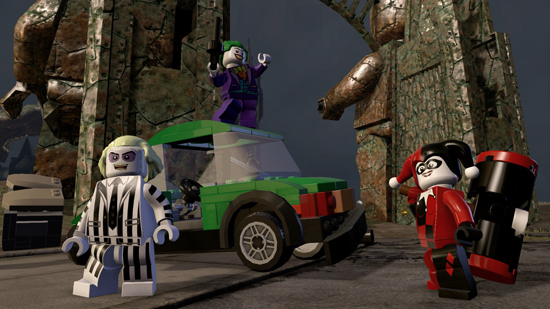 Team Pack, includes LEGO minifigures of the DC Comics superhero team of Raven and Beast Boy. It also features the 3-in-1 T-Car which can be rebuilt into the Forklift and T-Plane for out of this world adventures by air and sea. Players can transform the Spellbook of Azarath into Raven Wings and the Giant Hand to take flight and dig through the earth for adventures above and beyond this universe. The Teen Titans Go! Fun Pack includes a Starfire LEGO minifigure. Players can unleash her special abilities to battle enemies and solve puzzles. Players can also build the 3-in-1 Titan Robot for a roller-coaster fun-filled adventure and then rebuild it into the T-Rocket or Robot Retriever for an even more supercharged adventure with the rest of the Titans gang. Raven, Beast Boy, and Starfire each provide access to the Teen Titans Go! Adventure World in Jump City where players can explore several psychedelic areas from the Titans Tower to Wacka Doodles Amusement Park. 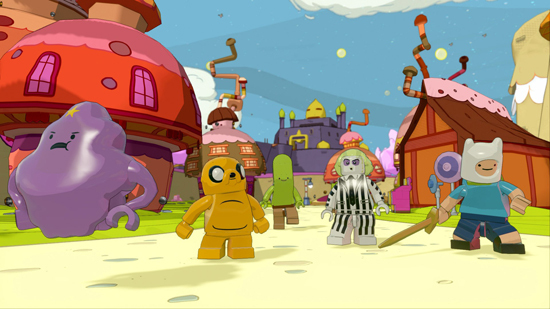 Players can bring Townsville to LEGO Dimensions with The Powerpuff Girls Team Pack which includes LEGO minifigures of the super-powered sisters, Blossom and Bubbles. For access to additional special abilities, the 3-in-1 Octi can be rebuilt into the Super Skunk or Sonic Squid, and the PPG Smartphone can be rebuilt into the PPG Hotline and Powerpuff Mag-Net. The Powerpuff Girls Fun Pack includes a Buttercup LEGO minifigure. Players can use this cherished champion of justice to fight crime and come just in time with supercool superpowers. The 3-in-1 Mega Blast Bot can be rebuild into the Ka-Pow Cannon and Slammin’ Guitar to rock extra-awesome combat abilities. 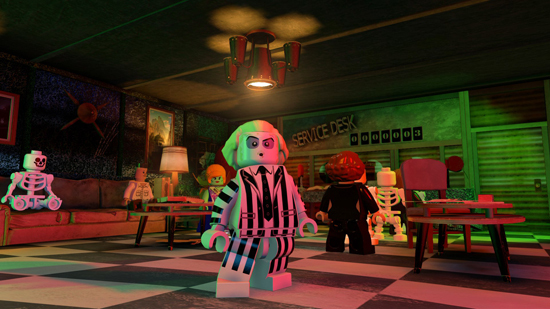 The Beetlejuice Fun Pack brings some spookiness to LEGO Dimensions with a Beetlejuice LEGO minifigure. 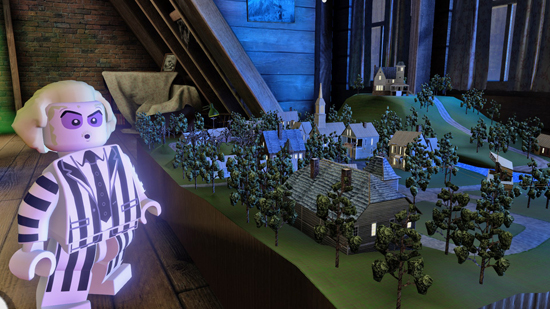 Players can activate his supernatural powers to scare away the living. Saturn’s Sandworm can be rebuilt into the Haunted Vacuum and Spooky Spider for more ghostly powers. 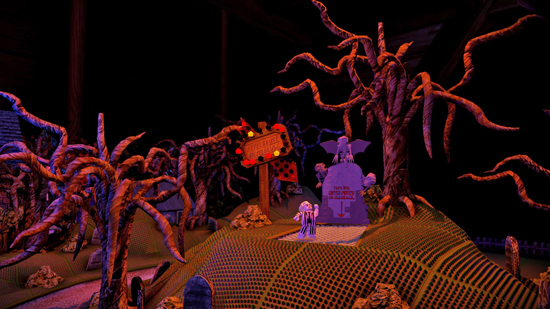 Beetlejuice also unlocks the exclusive Adventure World and Battle Arena. 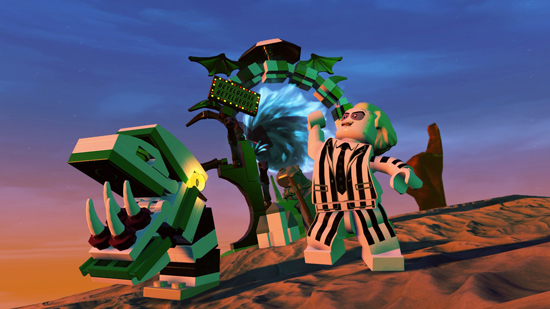 Developed by TT Games and published by Warner Bros. Interactive Entertainment, LEGO Dimensions is now available for PlayStation 4 and PlayStation 3, Xbox One, Xbox 360, and the Wii U system.